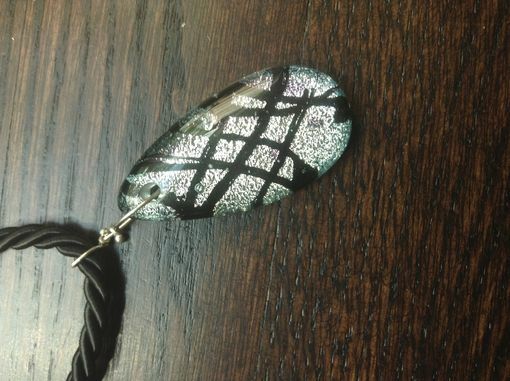 The glass teardrop pendant is made by kiln casting layers of glass in a mold. With black as the base color, the silver metal dichroic pops off of the dark opaque. 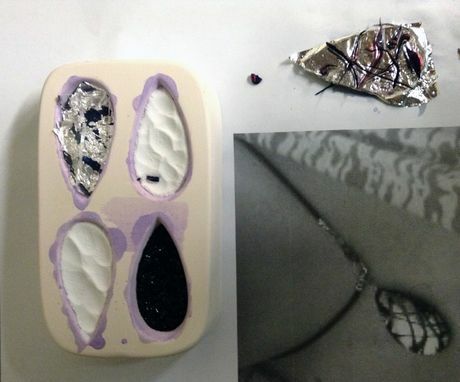 Layers of clear give it a glossy finish and a nice thickness to the pendant. The pendant is finished with a simple drilled hole with a handmade wire wrapped sterling silver jump ring to slide onto a black satin cord. 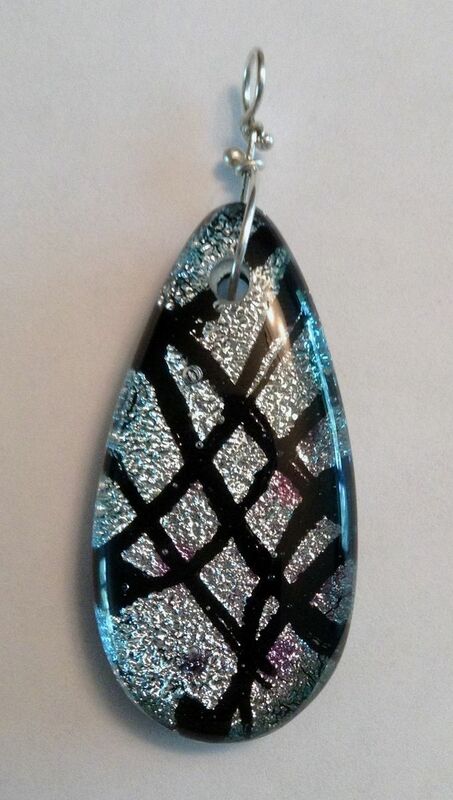 This pendant could be customized in many different colors and design accents.